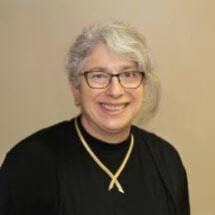 Diane Margolin, of Counsel to the firm, is a lawyer and family law mediator. She is a member of the New Jersey Bar since 1986. She began her legal career at Bergen County Legal Services and the Hackensack firm of Galantucci & Patuto. Initially a generalist, she has practiced primarily family law since 1990 when she founded this law firm in Warren County. Diane received a B.A. from Mount Holyoke College in 1983 and a J.D. from Suffolk University Law School in 1986. She serves on the Boards of the Northwest Jersey Legal Services Corporation and the Mansfield Township Education Foundation and has volunteered for the Women's Center of Northwest Jersey and for DASACC for more than two decades.